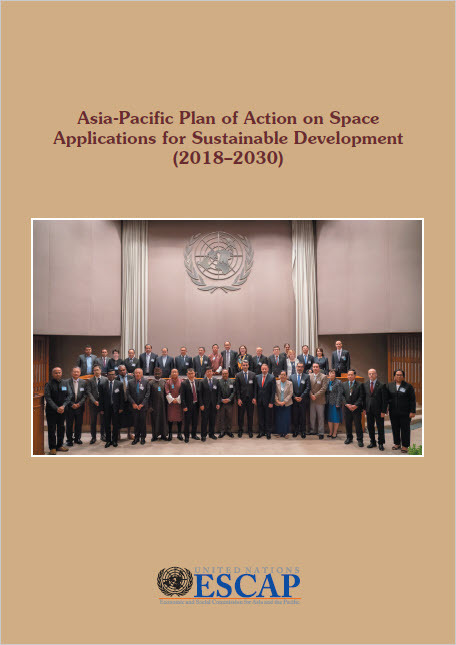 On 10 October 2018, Ministers and the heads of the space community from over 30 countries in Asia-Pacific met in Bangkok for the Third Ministerial Conference on Space Applications for Sustainable Development in Asia and the Pacific. The Ministerial Conference adopted two documents, that will guide work in Asia-Pacific for the next decade: 1) the Ministerial Declaration on Space Applications for Sustainable Development in Asia and the Pacific, and 2) the Asia-Pacific Plan of Action on Space Applications for Sustainable Development (2018 – 2030). with each country’s national circumstances and development priorities. (d) social development; (e) energy; and (f) climate change. All 188 actions will significantly contribute to 37 Targets of 14 Goals of the 2030 Agenda for Sustainable Development. The implementation modalities are through: (a) research and knowledge-sharing; (b) capacity building and technical support; and (c) intergovernmental discussions and regional practices. Among the three, capacity-building and technical support has been identified by countries as the priority. The Plan is divided into three implementation phases, each of a four-year duration, with a Ministerial Conference to be convened at the end of each phase.